“I like your aircraft so much, I built me one,” writes model builder Scott Zumwalt. 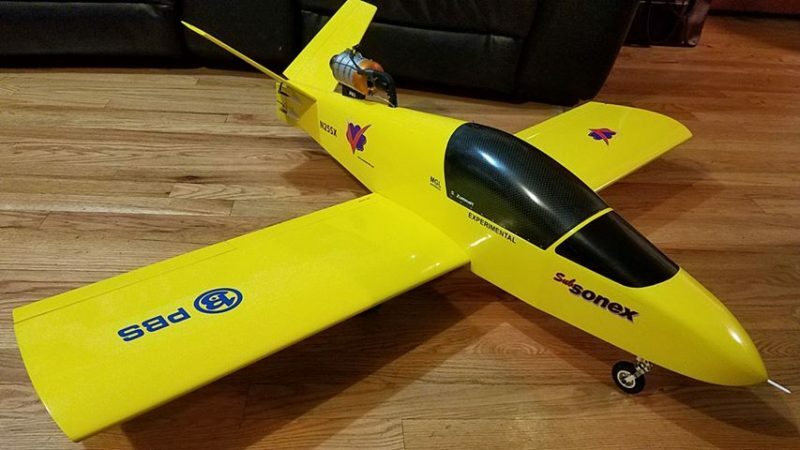 Scott has built a beautiful 1/4 scale RC SubSonex Personal Jet! “…100% scratch built,” continued Scott, who used our available 3-View print of the SubSonex. 3-Views of all of our aircraft models are available on our web store for $10 each! The aircraft uses a Lambert T25 turbine engine, which runs at 245,000 rpm producing 6 lbs of thrust and weighs 250 grams. Learn More About the SubSonex Personal Jet!